Power: 240 V / 50 Hz. 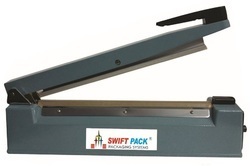 Our organization is counted among the leading manufacturers and suppliers of optimum quality Pouch Sealers. Sourced from trustworthy vendors, good quality raw materials are used in the manufacturing of these sealers. Known for their smooth functionality, high speed sealing and high hassle-free performance, offered machines are made available with an adjustable conveyor. 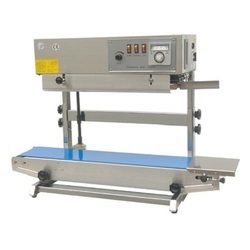 This Hand Operated Sealing Machine by Moosh can be used for packaging materials such as Polypropylene and other such heat-sealable materials.